For some of us living in the GTA, St. Patrick ’s Day may have started early with festivities in some local bars and restaurants already taking place as early as Friday. For the rest of us, coming into work today, or sending the kids off to school with some green attire or accessories may only be the beginning of the St. Patrick’s Day celebration. 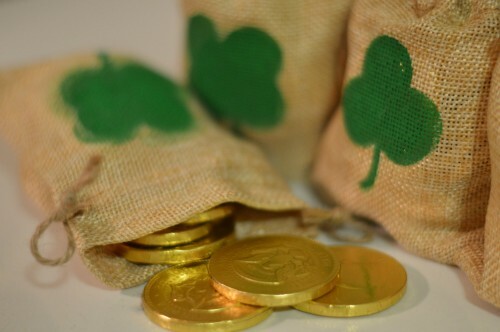 If you’re hosting a gathering at your new house or condo today, here are some inspiring St. Patrick’s day décor and food options that will put your guests into the festive Irish spirit! Gift giving is welcomed at any time of year, and if the gift is chocolate, then nothing says St. Patrick’s Day like gold coins which are readily available this time of year at mass retailers like Dollarma or Target. If you’re expecting guests at your house or condo today, try making these simple DIY burlap sacks which you can purchase at any craft store and stencil on your green clover for an added touch of St. Patrick’s charm. Using a clover shaped cookie cutter on spinach flavour tortilla bread, make your house or condo smell delicious by baking up some clover shaped spinach chips. Spinach flavour tortilla bread comes in various sizes, but the largest will be the easiest to work with. Simply cut through each piece trying to minimize the scrap pieces and use a non-stick cookie sheet to bake them at 180 degrees for 10 minutes. Serve these chips with your favourite dip and enjoy! 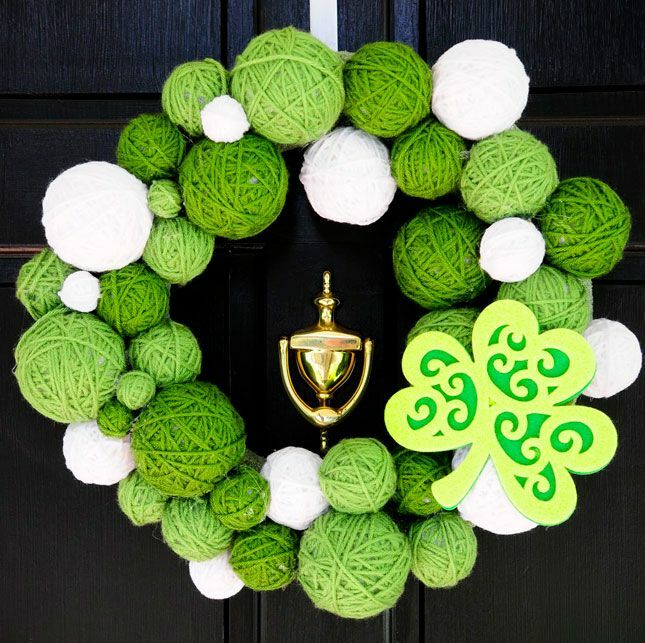 Welcoming guests to your house or condo with a decorative wreath is a great way to embellish your front door with some St. Patrick’s Day charm. Simply staple a Styrofoam tube into a circle the size you wish and proceed to adhere the yarn balls using pins. Interchange the size and tone of green and don’t be afraid to add some white like this one to add some visual interest and variation. Complete the wreath by adhering a DIY clover instead of a bow. Since you’re using pins to adhere all the pieces, your yarn balls with remain intact for future use on a knitting project. For a simple yet festive treat option for your St. Patrick’s Day party guests, try serving these cake pops which add an attractive centre piece option, nicely complementing the rest of your St. Patrick’s day décor throughout your house or condo. 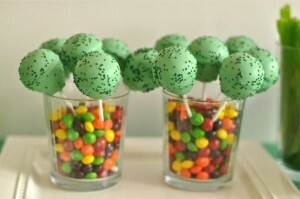 Using M&Ms to anchor them, ensures your cake pops remain upright and tastefully enticing at all times. 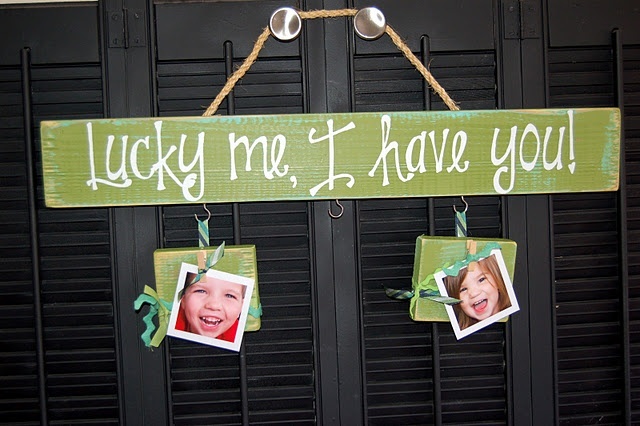 Using wooden blocks, some paint, ribbons, hooks and a twine rope can make the base for displaying some photos of those you love in a thoughtful St. Patrick’s Day inspired vein. 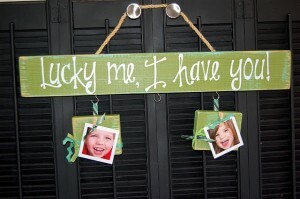 A great way to make those in your house or condo feel extra special on this St. Patrick’s Day! 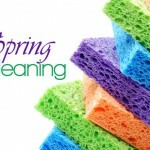 For more inspiring DIY tips and entertaining ideas, be sure to visit the Mosaik Homes Facebook Page!